This book is a collection of short stories, essays, and more. The 'more' includes some flash fiction, a few pieces of humor, an unbundled pile of letters, a section called 'Pajama Series,' a motley crew of memorable characters in the 'persons' area, and reprints of some of the articles that have appeared in a regional magazine. So my readers can know what the pieces are about I have included an index. The topics include adoption, aging, a convertible, peanut butter, and of course, writing. Plus: Lake Tahoe, the Eiffel Tower, thong underwear, happiness, snoring, a toupee, and mom, of course. There's so much more! Kathryn Atkins is a professional writer. She grew up in California and has an MBA from Cal Berkeley. She started writing seriously as an adult and combined her business background with her passion for writing to form Writing World, LLC, a freelance writing communications firm. 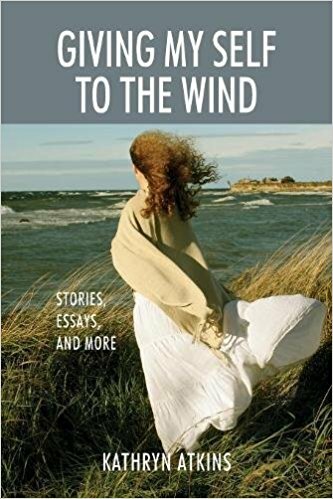 Although her work has appeared in The Wall Street Journal, USA Today, the Orange County Register and OC Metro Magazine, she also writes short fiction and poetry, which appears in the collection "Giving My Self to the Wind." She is currently working on her novel, "Deathlist, the Ultimate Hack." As past the president and a continuing member of the Long Beach branch of the California Writers Club (a 501(c)3 nonprofit started in 1909), Kathryn helps newer writers find their voice. When she's not writing she's reading, playing the piano, doing yoga and flamenco or walking her dog.